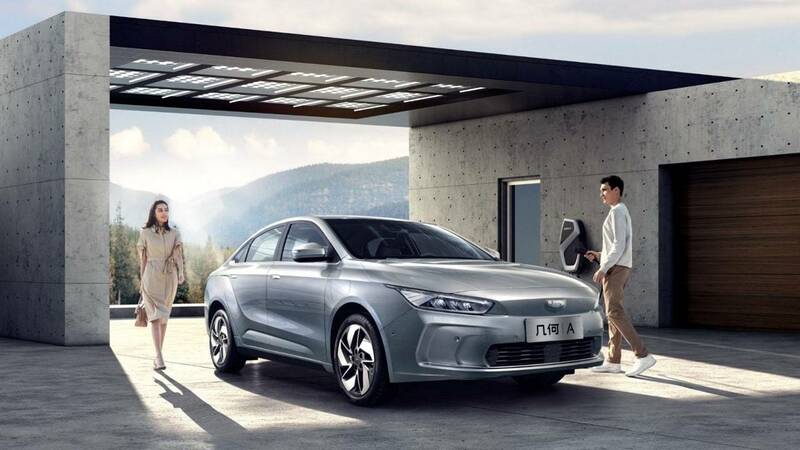 Geely has launched a premium all-electric vehicle brand called “Geometry” as the Chinese auto giant pushes ahead with plans to boost production of new-energy vehicles. 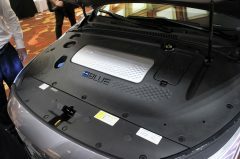 The move comes as automakers race to develop vehicles powered by alternate energy sources instead of fossil fuel to meet an expected rise in demand as the world’s top car market enforces official production quotas designed to reduce smog and emissions. 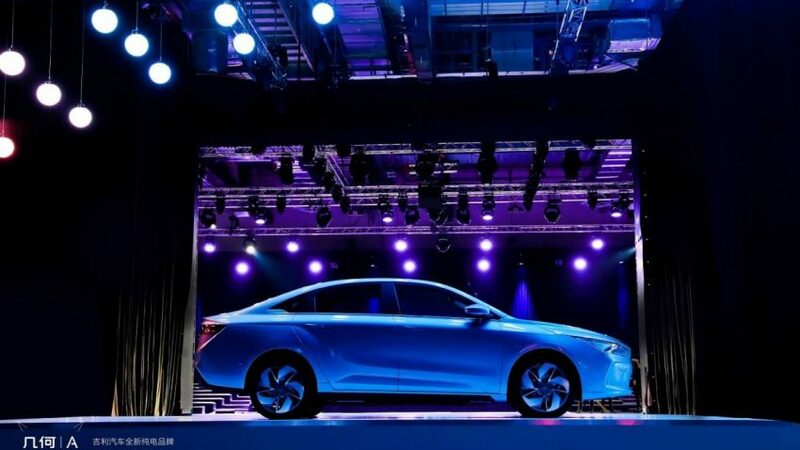 According to Geely, Geometry will take overseas orders but will mainly focus on the Chinese market and will launch more than 10 EV models in multiple segments by 2025. 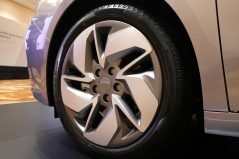 Geely further added that it has already received more than 26,000 orders globally for its first model, the Geometry A. 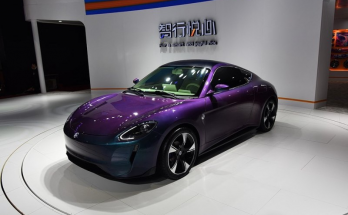 Originally known as the GE11 EV, the longer-range version of the model can travel up to 500km on a single charge. 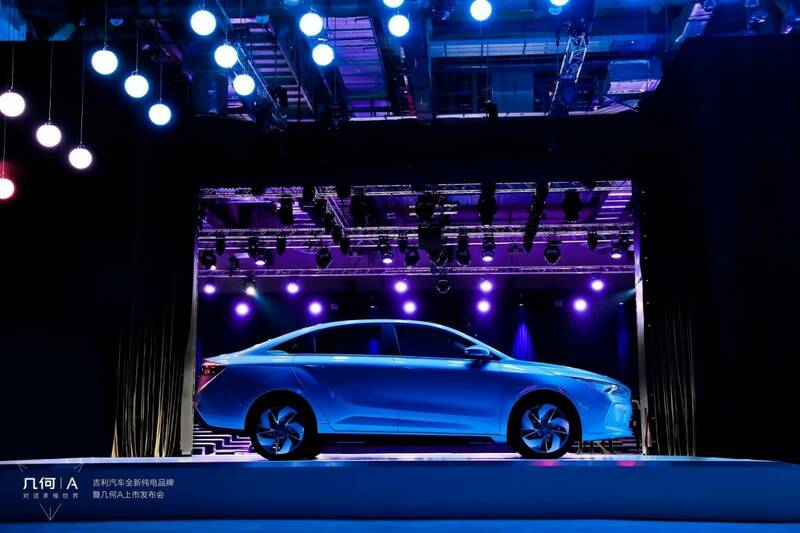 Geely recently set up a new joint venture with Germany’s Daimler AG to produce the next generation of Smart EVs in China. Geely is also developing new energy commercial vehicles such as pickup trucks at it’s another unit called Yuan Cheng Auto. 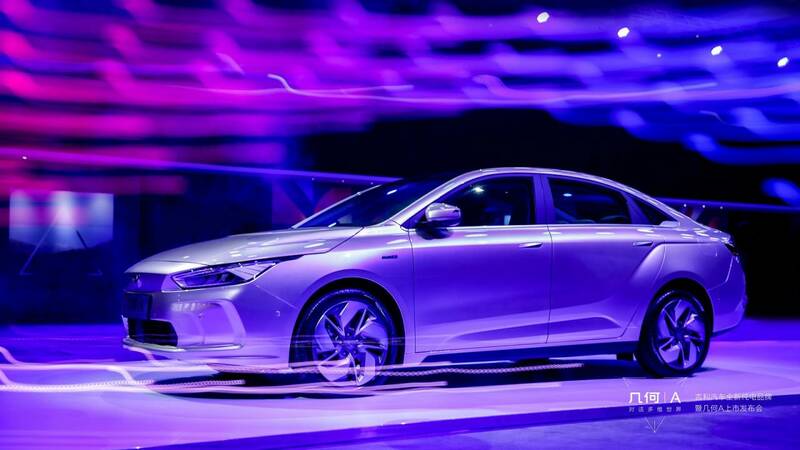 China has been a major supporter of new energy vehicles including battery electric, hybrid, and plug-in hybrid technologies, and started implementing NEV sales quota requirements for automakers. 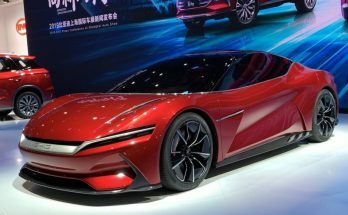 According to a Reuters, global automakers are planning a $300 billion surge in spending on EV technology over the next five to ten years, with nearly half of the money targeted at China. 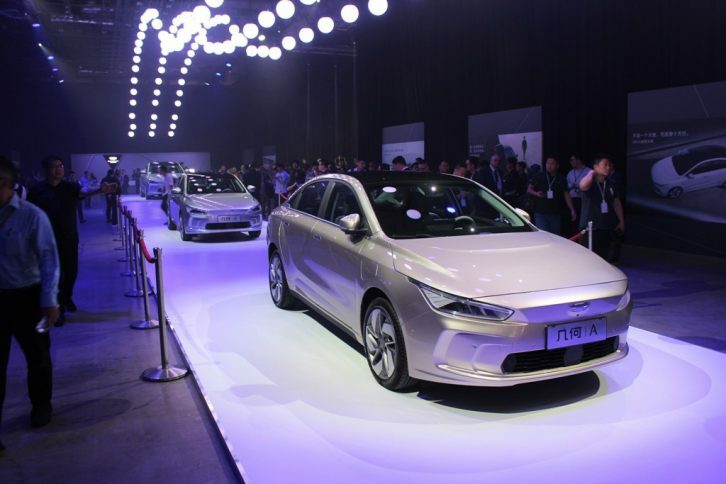 The Geometry A, is originally the GE11 all-electric sedan which was unveiled just recently on the 26th of February. 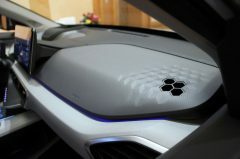 At the time of launch Geely announced to have adjusted its marketing structure by adding a new energy brand into its brand lineup which will be operated as an independent sub-brand with its own logo (called as Quantum Silver Shield), parallel to the other four brands, namely, Geely Auto, Lynk & Co, Proton and Lotus. The Geometry A adopts a “closed-off” front face without a grille, accompanied by slim headlamps with LED DRLs, with new Quantum Silver Shield logo sitting in the middle. 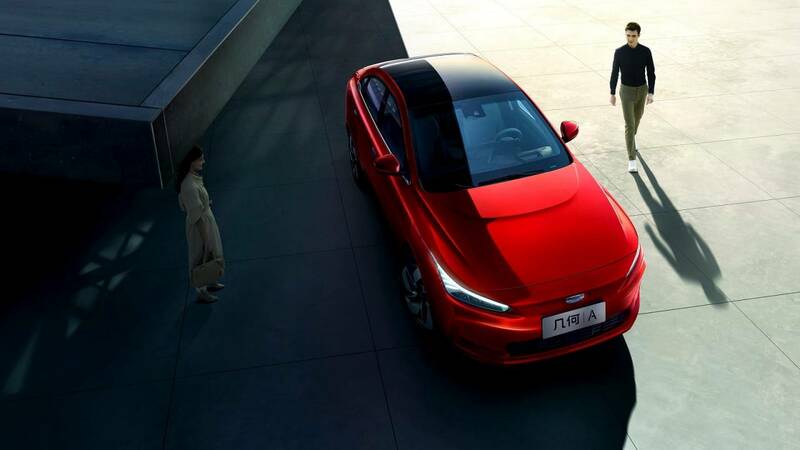 As to the sides, smarter aerodynamic profile is characterized by sharp body lines and retractable door handles that are flushed with the bodywork. This helps reduce the air resistance, contributing to a drag coefficient of just 0.2375Cd. Featuring a fastback design, Geometry A’s rear end adopts slim flat taillights that are connected by a chrome trim. 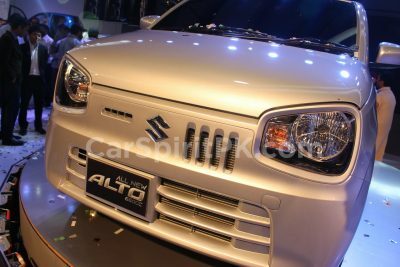 Besides, there are two charging ports at the right-front fender and above the left-rear wheel arch respectively. With a minimalistic design approach, the interior remains largely covered by grey materials. The dual-spoke flat bottom multi-function steering wheel accentuates a sense of sports. 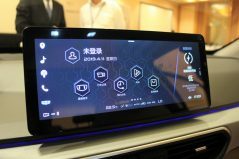 In addition, many controls are integrated in the auxiliary instrument panel and the center console that carries a large-sized touch screen. 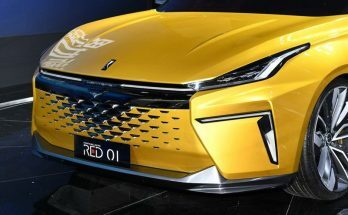 The Geometry A will use a new EV drivetrain that Geely has developed, along with CATL ternary lithium batteries. 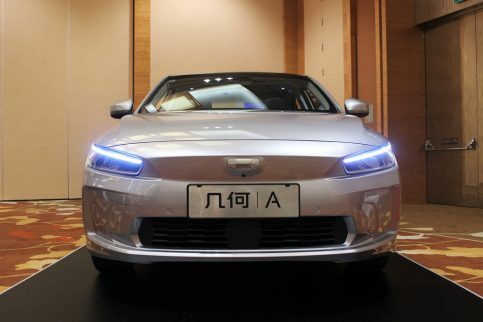 There is a fast charging support, which according to Geely, takes the Geometry A recharge up to 80% in 30 minutes only. There will be 2 range options available, standard with a 51.9 kWh battery, promising up to 410 km on the European NEDC cycle. And a long range version with a 61.9 kWh battery which does up to 500 km. Bear in mind the NEDC cycle typically delivers more range in testing than the US EPA cycle would. 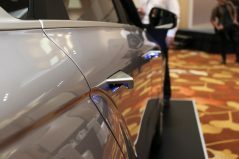 Furthermore Geely is also offering what it’s calling the Super E Energy Station system, which is an external power outlet, allowing drivers to use the Geometry A’s batteries to run other things. 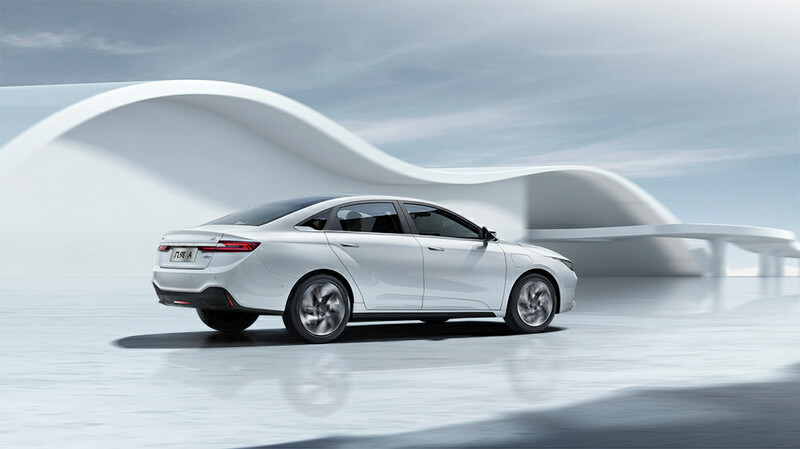 According to Geely, the Geometry A’s drivetrain delivers up to 177hp of power and 250Nm of torque. This should help reach a top speed of over 15km per hour and achieve 0-100km/h in 8 seconds. 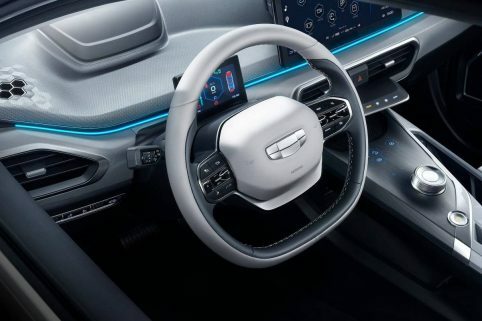 Just as the Tesla Model 3 has Autopilot, Geely will be offering Level 2+ driver assistance on the Geometry A. This includes a group of cameras and millimeter wave radar that will deliver adaptive cruise control, lane keeping assistance, lane changing assistance, and various safety features to be included on all trims. Also included will be front and rear collision warnings, blind spot detection, automatic emergency braking with pedestrian recognition, and door-open warnings. 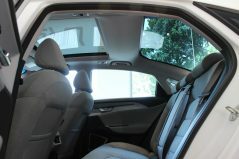 The surround-view cameras and other sensors will also allow for features like auto-park and a top-down camera view. Inside, there will be a voice assistant and HD driving recorder, logging footage as the car drives. 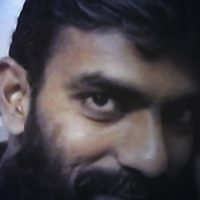 Other security features will get brought into the Smartphone age. 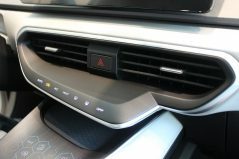 The glove box lock, for example, will use a password rather than a key; the child lock doors can be controlled with a button on the car, or remotely from a phone. 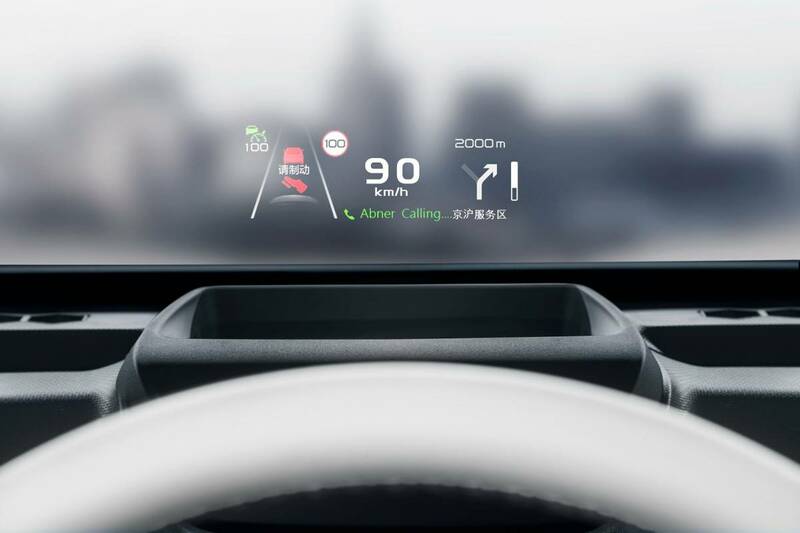 Geely is doubling-down on privacy, too: for instance incoming caller ID from a paired phone will only be shown on the head-up display etc. 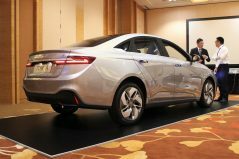 Geely will have 6 versions of the Geometry A: three different trims – the base A2, mid-tier A3, and top-spec An – each offered in standard and long-range battery configurations. They will be impressively competitive in price. 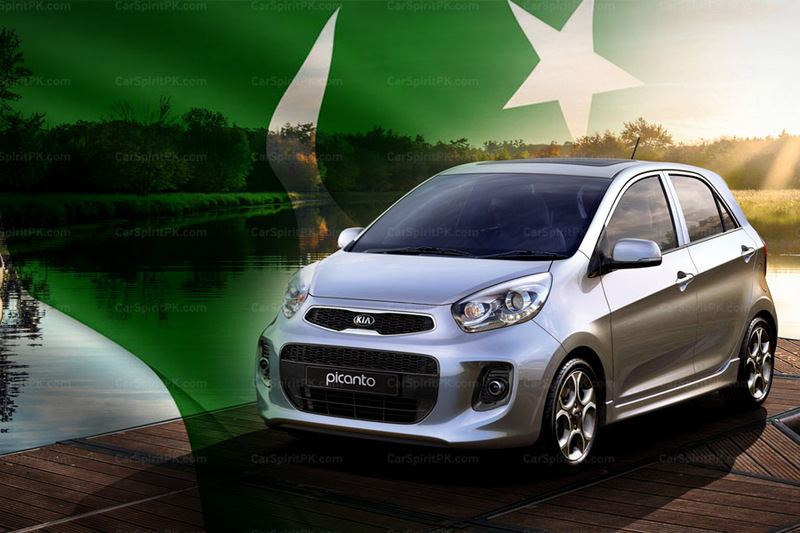 The base model will be the Geometry A2 standard range, priced at 210,000 RMB (or approximately $31,250). 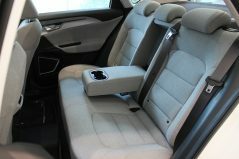 The A3 standard range will be the equivalent of $32,700, while the An standard range will be $34,200. That’s before any market subsidies or incentives. The Geometry A2 long range will start at 230,000 RMB (approximately $34,200). The A3 long range will be $35,700, while the top-spec An long range will be $37,200. For the sake of comparison the Tesla Model 3 is priced between $49,000 and $78,000. Though Tesla was planning a low-cost $35,000 version but as per recent reports, the plan is now dead. 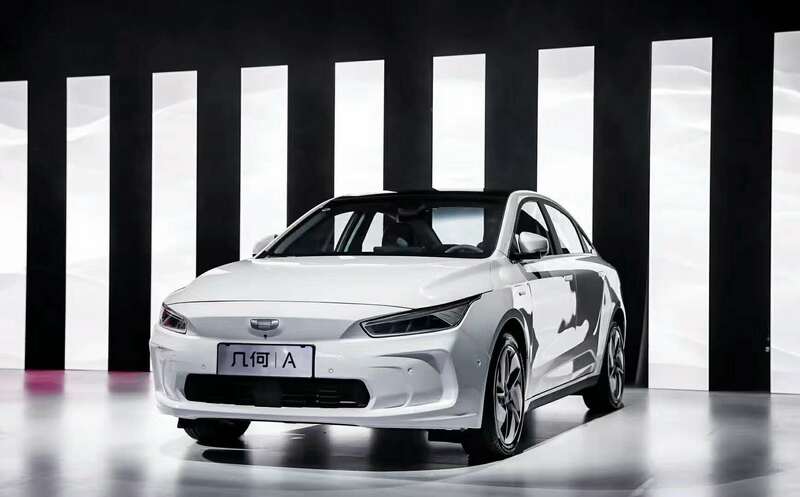 Geely is clearly aiming to sandwich the Tesla Model 3 with its overall EV portfolio. Undercutting it will be this new Geometry A. Competing at the higher end of the Model 3’s price range will be the Polestar 2, the all-electric four-door recently revealed by Volvo. Geely is the financial backbone to both Volvo and Polestar, and it is quite evident now how the combined line-ups will fill out with EVs.